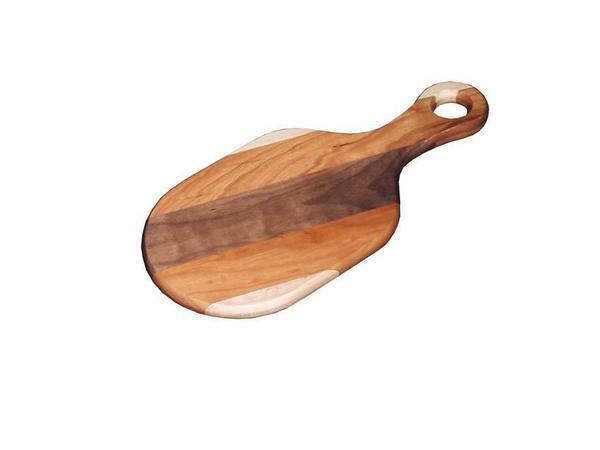 This stunning cutting board is handcrafted in the shape of a paddle from solid hardwood. It measures 16" by 7 1/2" by just under 1" thick. 16" x 7.5" x 0.75"